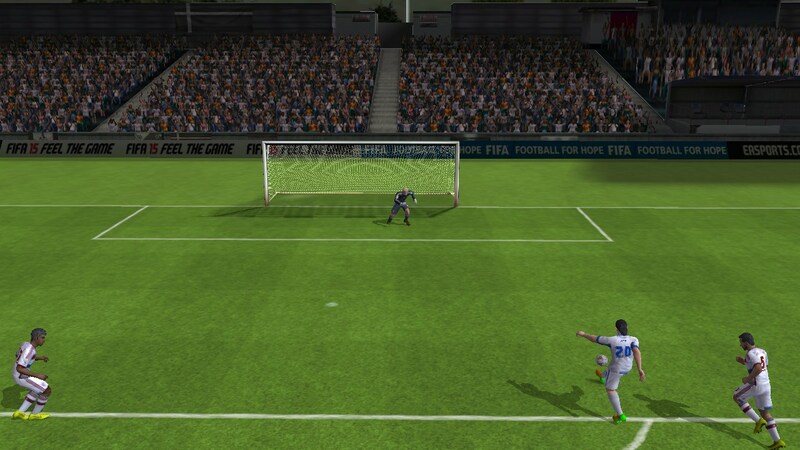 FIFA 15 Ultimate Team – Games for Android 2018 – Free download. FIFA 15 Ultimate Team – The go-to game for football. 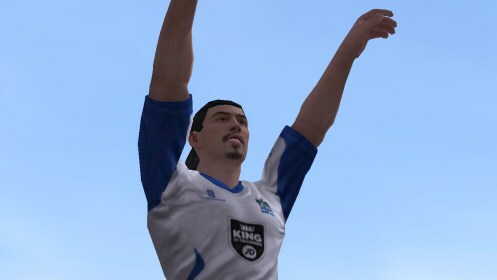 EA’s Fifa has quickly established itself as the default game in terms of football and has greatly improved over the years. 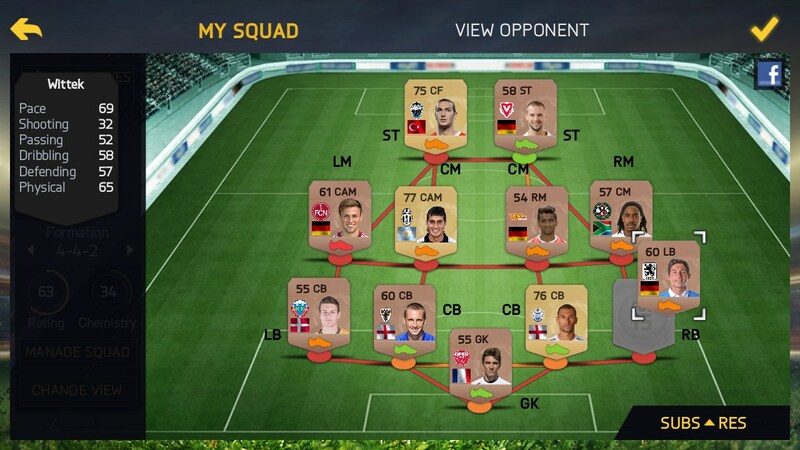 Fifa 15 Ultimate Team for Android can be quite easily the go-to game for football game lovers out there. 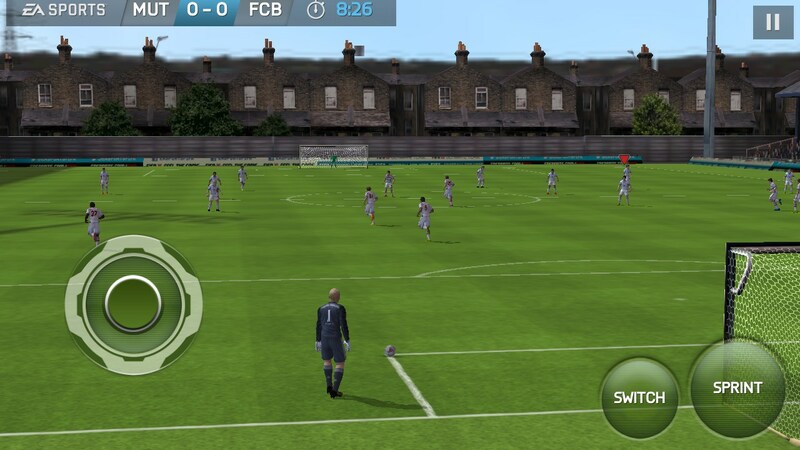 The game brings impressive graphics, customizable controls, a brilliant soundtrack and huge lineup of football players, in addition to a beautiful gameplay experience and through these it manages to stay on top of its competition. The first thing players should know about the game is that it starts out with casual controls on. If you are a more skilled player, feel free to toggle on the classic controls for many more in-depth mechanics and advanced tactics. Every game is a fluid and exciting experience as the controls work seamlessly and there were no frame rate issues, even in the most action packed moments. The tutorials teach players almost everything they need to know in order to overcome the simplest level difficulties, yet the tougher opponents will require tactics and skill. The management system is an intricate part of the game, just as important as the actual matches. Transfers, player auctions and much more are needed to create the “ultimate team” of both players and managers for your team. 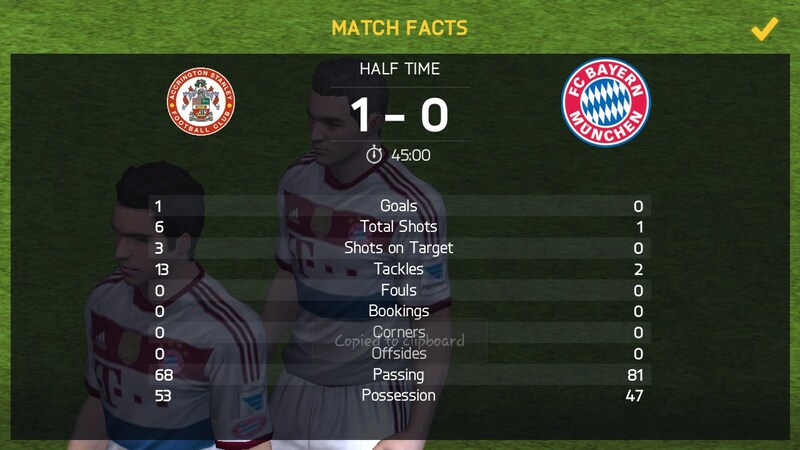 Each player has his own stats just like each manager and coach will bring valuable bonuses that are the key to your team’s success. 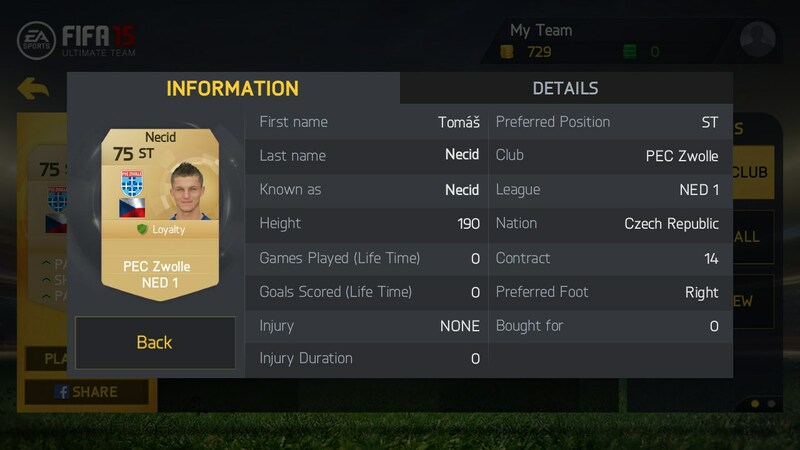 Overall Fifa 15 Ultimate Team is an amazing football game. The soundtrack alone is an amazing indication to the effort being put into the game. However, despite the many features included into the game, it has been a huge disappointment to see that no multiplayer game modes have been included. 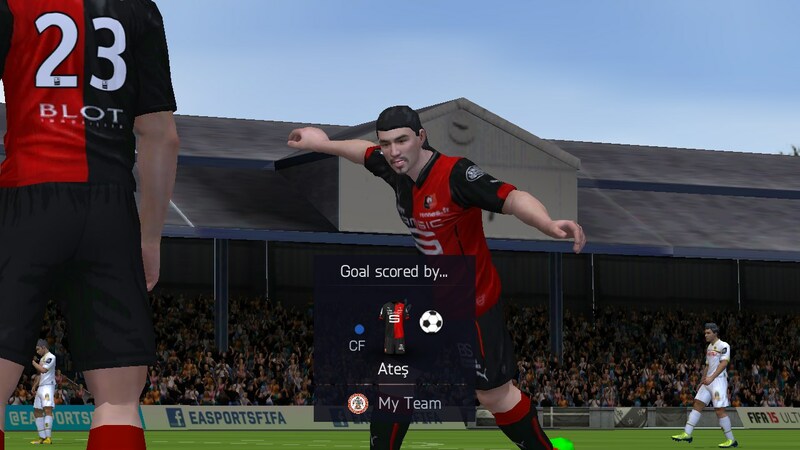 The best thing about the PC and Console Fifa games have been their replay ability when you introduce a real opponent instead of the AI so it is a shame to see that this has not made it into the Android version. I was relieved to see that other features, like the commentary did actually make it into the game. 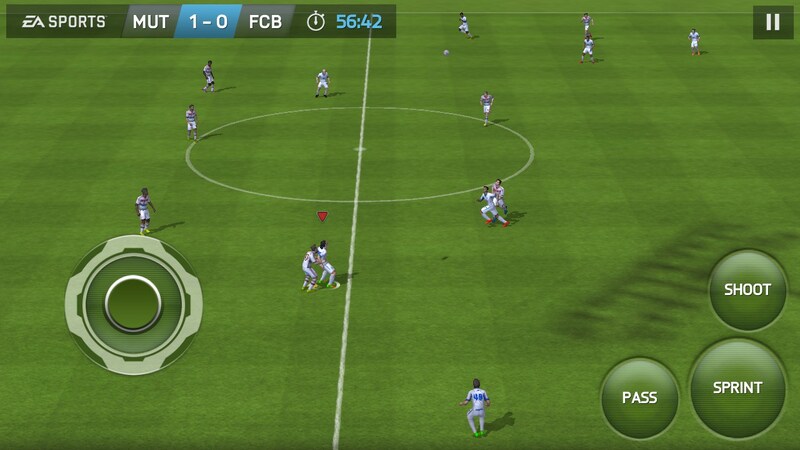 Simply select the language you want to download and each game will be narrated much like a real life football game. I downloaded it through Play Store on my Gionee M4. Although the download completed, the game didn't automatically get installed. So i am not able to play it. When i went back to the play store to install it, the download started all over again. Please help. What happened the second time you tried to download the game? I didn't download it the second time. 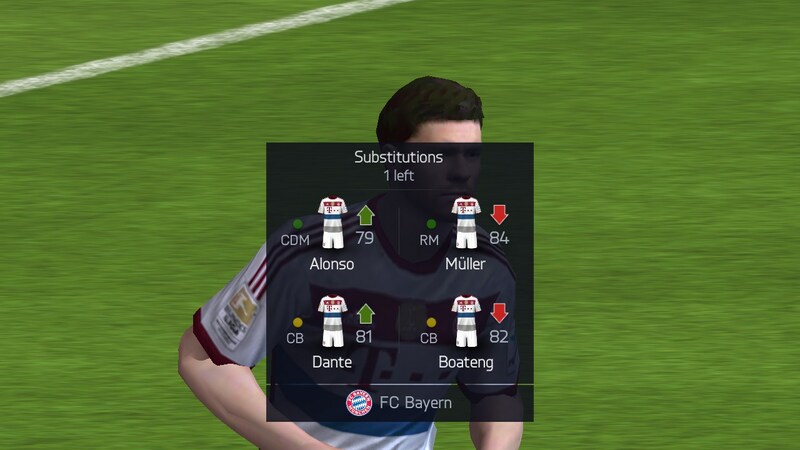 The problem repeated when I tried downloading PES Ultimate Manager. After 100% download, another download started for some additional files. But the download failed, with an error message appearing which said that there was some problem in the download process and asked me to download all over again. This problem didn't happen when i downloaded games like COC or angry birds transformers, but its happened twice now when I tried downloading large memory games. I have this happen to me every now and then. If you can, try and see if you can download it from a different connection. Check your device's specs. It could be possible that yours don't meet the recommended requirements. This is an Android app, so you won't be able to install it on a Windows phone. 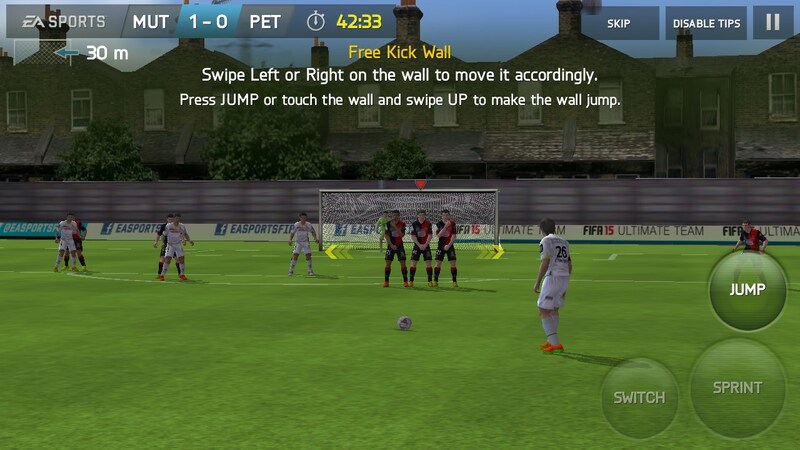 I've downloaded fifa15 data and apk but I don't know how to make it play can you please help me..
you need to find the app icon for Fifa 15 and tap it to make it play... are you having problems when you do this? Can't play fifa14 or 15 on my galaxy grand neo it keeps saying..you may not have purchased this game or app. Hi! Where are you trying to download the app from? But how do I stop the insufficient storage to get fifa. It may help if you switch off automatic updates in your settings. Check how much free space you have, and if it's not very much, try deleting some unnecessary stuff, like move old photos off your device etc. It says insufficient storage on external storage. I will not pretend to speak for EA, yet the Tab 3 Lite is a rather low end device and FIFA 15 does require some higher specs. You can play the game even with such an old version of Android, yet your device must still meet the minimum requirements. Unfortunately if an app is incompatible with your device for whatever reason there is no way around this. The Tab 3 Lite MAY become compatible if Samsung ever decides to update it to a supported version of Android. I have already written the instructions one comment below. They apply to all devices, and as I said there, it may not be compatible with that specific device. I have already answered this comment. Please see the steps to check compatibility and please note that it may not be compatible with low end devices. Follow the "Free Version" link found above the review and you will be redirected to the appropriate Google Play page. There make sure you are logged in with the same Google Account on both your PC and your Samsung Tab 3. Afterwards click the "Install" button and a new window will indicate if there are any incompatibility issues with your device and allow you to initiate a remote installation. Alternatively you can scan or input the QR code into your Android device and it will redirect you to the download page and allow you to install the app. Can you please be a bit more descriptive with the description? What exactly prevents you from playing the multiplayer mode? Also include any error messages displayed, if any. Please keep in mind that multiplayer was added in a recent update, it was not in the original game, so if you have installed the app a long time ago, check to see if any updates are available. As I said in more recent comments, the app may not be compatible with that specific device, yet to check for certain please see my other comment for instructions. Unfortunately it is not available at the moment on the Amazon Store and I cannot give you an estimate of when it will be available. It is up to EA. It doesn't work on my 4.2.2 device !How to fix it ??! It was working in my 4.2.2 device few days back as i took it from my friends tablet using sd card but its not working as i download it. Please help. What exactly is the issue when attempting to download and install? Is any error displayed? Does it download correctly / install correctly? please be as descriptive as possible and also mention your device model. The fifa 15 for kindle you gave cannot work as a kindle (unless rooted) cannot download anything from the Google play store. It is not compatible for samsung galaxy tab 3 SM-T110 version 4.2.2 . Hurry up and get it compatible please. I'm afraid we do not have any control regarding any of the apps we review. Any compatibility issues should be taken up with the developers. The Nokia XL uses its own modified version of Android that is not compatible with Google Play. Unfortunately this means that you must search on the proprietary store app that comes already installed on your device and attempt to find the game. Make sure that you are running the latest Android available for your device. Go into settings and find your phone's info. The current operating system should be displayed there. If it is under Android 2.3 then perform an update. 1) Click the "Free Version" link above the review, which will redirect you to the Play Store and click install. If you are performing this on your PC then you will need to be logged in on both your PC and your Galaxy S with the same Google Account, which will allow you to select the device and have it download. 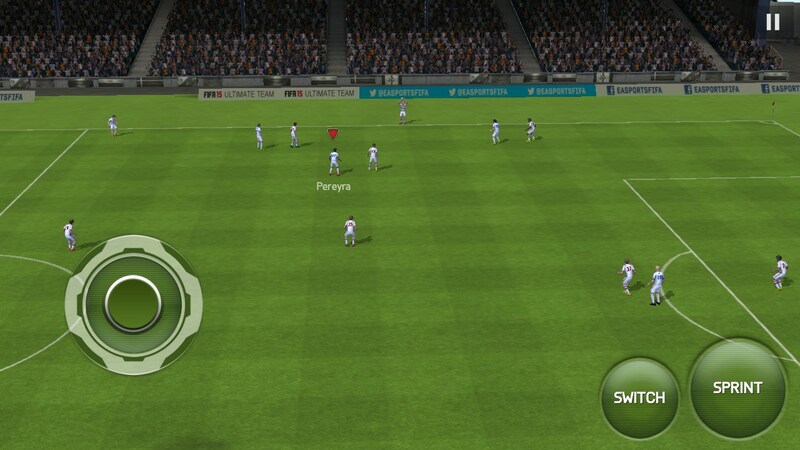 2) Open the Play Store app on the the Galaxy S and search for the game. If it is compatible then your device should be able to be detected during these steps. Again, i cannot guarantee that this will work as the minimum supported OS is 2.3.3, but it is worth a try. Please follow the steps provided above at option 1). When you log in with the Google account and access the app's page on the Play Store, you can see if it is compatible. 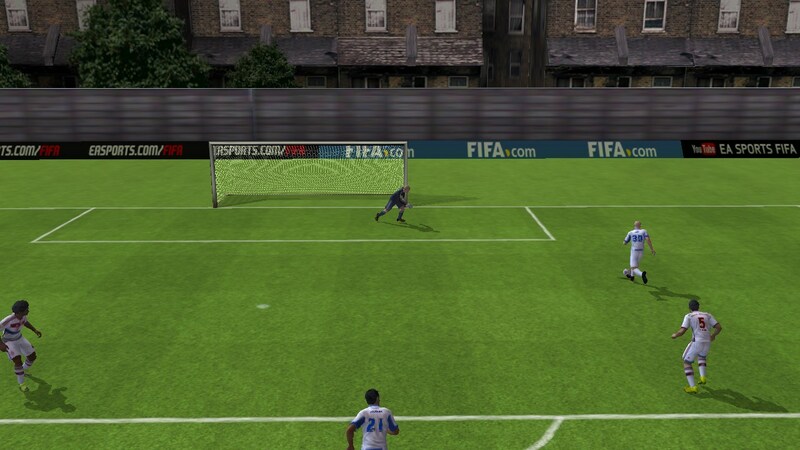 Is FIFA 15 compatible on Samsung galaxy note 3 android version 4.4.2?? what will happen when it becomes official ?